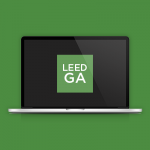 Includes 9 hours of online instruction for the LEED GA exam. 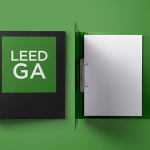 Click Here to get up to speed on LEED, what it is, how it works, and exactly what it entails to become a LEED Green Associate. Otherwise, please keep reading about our LEED Green Associate Platinum Pack below. 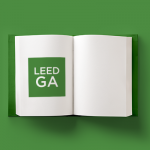 This LEED Green Associate Platinum Pack includes best-selling The Original LEED Practice Tests, updated for the latest LEED v4 Green Associate content. Each question includes an explanation about why the answer is correct. 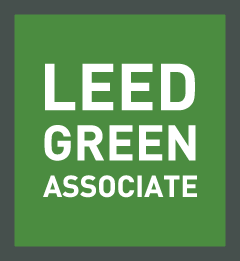 In addition, our online LEED webinars will walk you through the core material covered by the exam. While you watch the videos, take hand-written notes to reinforce the concepts. The study guide is a searchable powerhouse with definitions and examples to expand on the videos and practice tests. Review the flash cards either online or by printing to strengthen your memory of referenced standards, LEED definitions, and more. The study sheets are printable so you can highlight, or cross-off as you go and great to use as a ‘cheat sheet’ because it collects all the key terms in one location. 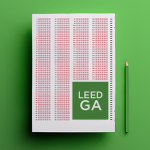 Whether you are a seasoned professional, a student, or new to sustainability, our LEED exam prep materials will guide you through the most current green building principles and practices. 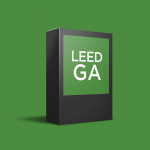 Save time and money – study once and pass the LEED GA Exam the first time. "I passed the Green Associate exam the first time - 91.5%!" [title] => "I passed the Green Associate exam the first time - 91.5%!" [testimonial_content] => "The GBES online book that you included in your package with the test questions was perfect! I passed the Green Associate exam the first time - 91.5%! I recommended it to 3 other people, who did purchase it. They passed the Green Associate exam also the first time! I am definitely going to purchase one of the other products when I start to study for my LEED AP!" "The GBES online book that you included in your package with the test questions was perfect! I passed the Green Associate exam the first time - 91.5%! I recommended it to 3 other people, who did purchase it. They passed the Green Associate exam also the first time! I am definitely going to purchase one of the other products when I start to study for my LEED AP!"